Telstra is partnering with Lexus Australia to make Victorian roads safer. Back in 1970, the Victorian Government became the first in the western world to mandate wearing seat belts. Now after 48 years, they are once again at the forefront of another safety revolution. 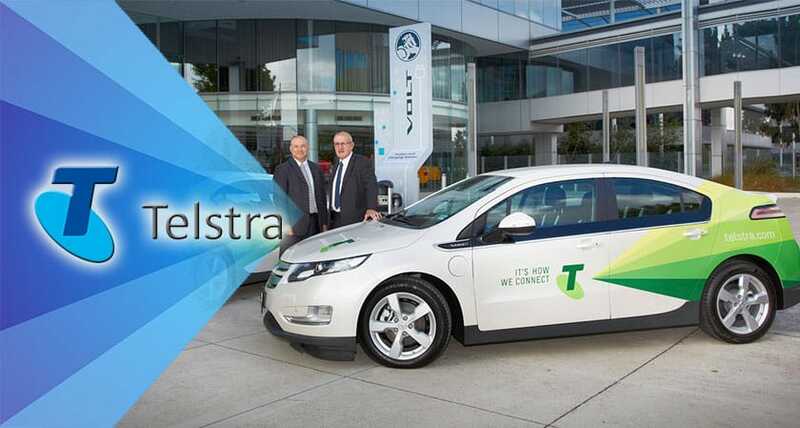 Telstra, the largest telecommunication company in Australia, has teamed up with Lexus Australia to conduct a two-year field trial of 4G-based connected vehicle technology in Victorian provinces. The Victorian Government has awarded Telstra with a $3.5 million grant for this project, dubbed the Advanced Connected Vehicles Victoria (ACV2), in the hope of creating safer roads. The trial seeks to explore the opportunity for improvement in road safety and understand what the government needs to do to prepare for automated and connected vehicles. The funding is a part of the Victorian Government’s $9 million Towards Zero Connected and Automated Vehicle Trial Grants Program, which will help Telstra, Lexus Australia, VicRoads and TAC understand connected-vehicle technology, with the hope of making it available commercially in the near future. The trial will see Telstra equip two specially-modified Lexus RX 450h SUVs fitted with its Cellular Vehicle-Everything (C-V2X) technology. The C-V2X technology lets cars use the 4G mobile network or direct short-range wireless links to communicate with each other and the environment around them such as other vehicles, traffic lights, pedestrians, roadworks, or any infrastructure. The ACV2 project will enable Lexus’ SUVs to communicate using Telstra’s 4GX mobile network to test out the connected safety features. Warning when surrounding vehicles are likely to violate a red light. Both companies will also investigate how to securely transmit traffic light timing, speed zones and other signals to connected vehicles. Vehicles will accumulate data as they drive, by communicating with each other via vehicle-to-vehicle tech (V2V) and with infrastructure via vehicle-to-infrastructure (V2I) communication tech. For instance, if a trial vehicle performs an emergency braking maneuver, it will send this message to another V2X-equipped car following it, potentially averting an accident. In such situations, even nanoseconds can make a significant difference. While almost all Victorian roads have reliable mobile coverage, it can never be completely guaranteed that a drop in service won’t happen. 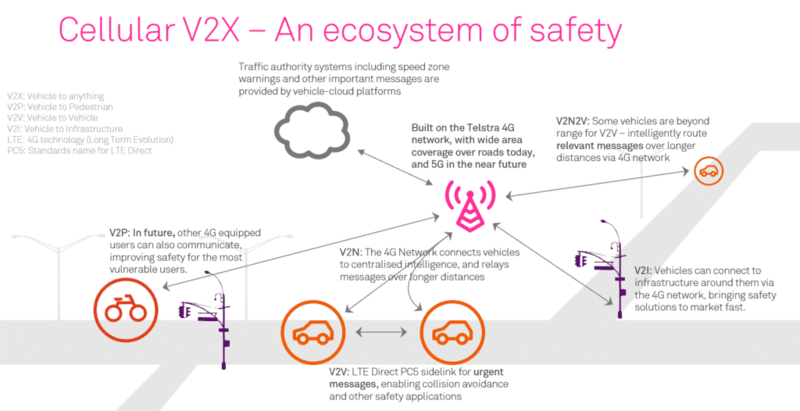 However, Telstra says the C-V2X-enabled safety system will work even when there is no 4G coverage. Cellular V2X technology combines both short-range radio, which lets vehicles communicate using cellular technology but without needing a cellular network, and wide-area 4G-based mobile communications. The most important safety messages will still be sent, regardless of whether a mobile connection exists or not. 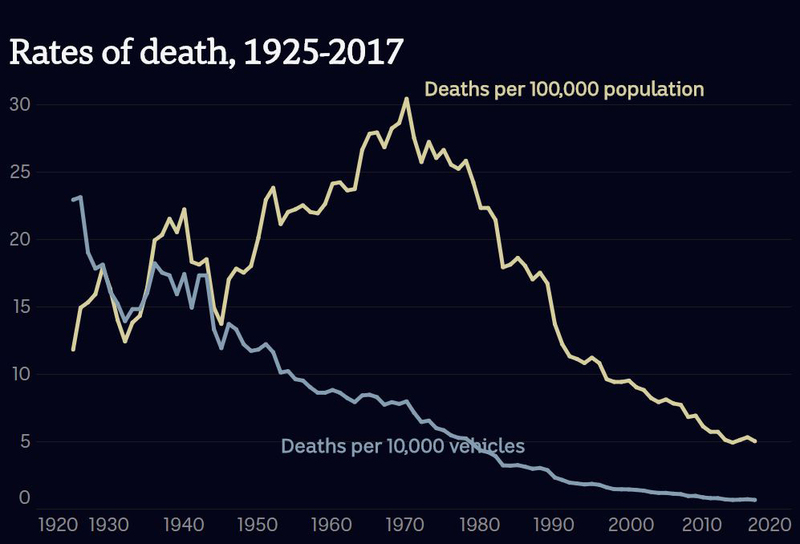 The number of road deaths fell considerably in Australia in 2018. Last year there was 1,050 road deaths in Australia, down four percent from 1094 in 2017. Provisional figures show across South Australia, 80 people died in road accidents in 2018, compared with 100 in 2017. Victoria recorded 214 deaths deaths as compared with 259 in 2017. Supt John Fitzpatrick, head of road policing operations in Victoria, said the figures were encouraging but still too many deaths took place on Victorian roads. There is a 26.7% rise in the number of pedestrian fatalities while people with 25- to 29-year-old age experiencing a major increase in the rate of road deaths, with 15.8 more killed last year than in 2017. The partnership between Telstra and Lexus is a sign that Australia is moving towards a society of automated vehicles that will make road users safe by helping automobiles communicate with each other as well as with the things around them. Earlier trials of car safety communication technologies in Australia only used Wi-Fi-like 802.11p technology for short range communications. The new trial will be the first in the country to use the very latest short-range 5.9 GHz radios based on advanced 4G Cellular V2X technology. It will be compatible with future 5G solutions which are scheduled to be rolled out on a commercial scale in 2020. Cars are about to become smarter and safer, and Lexus, Telstra and the state of Victoria are leading the way.